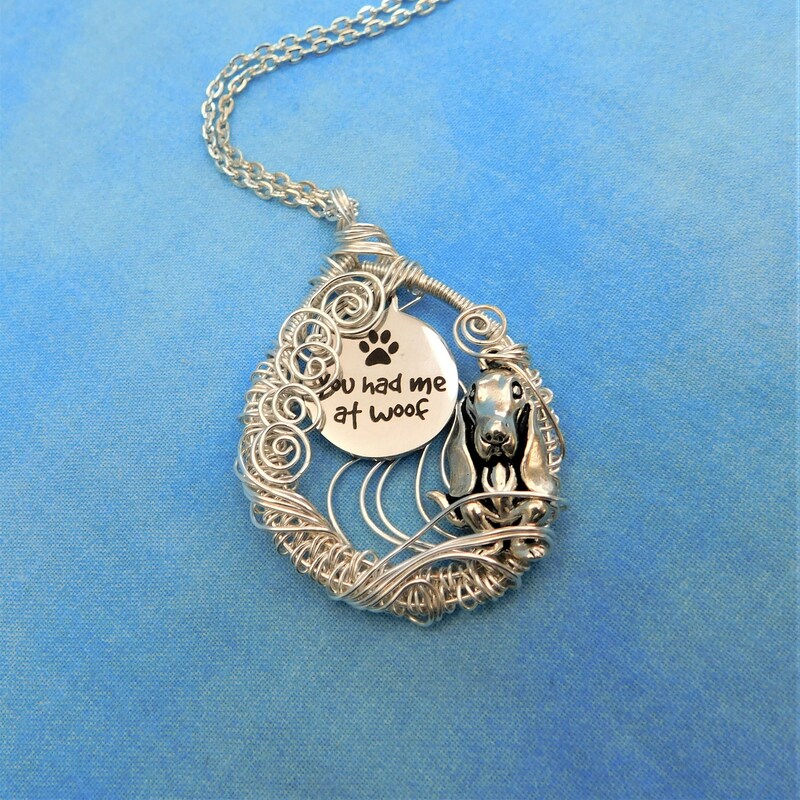 A floppy eared dog waits patiently for you. 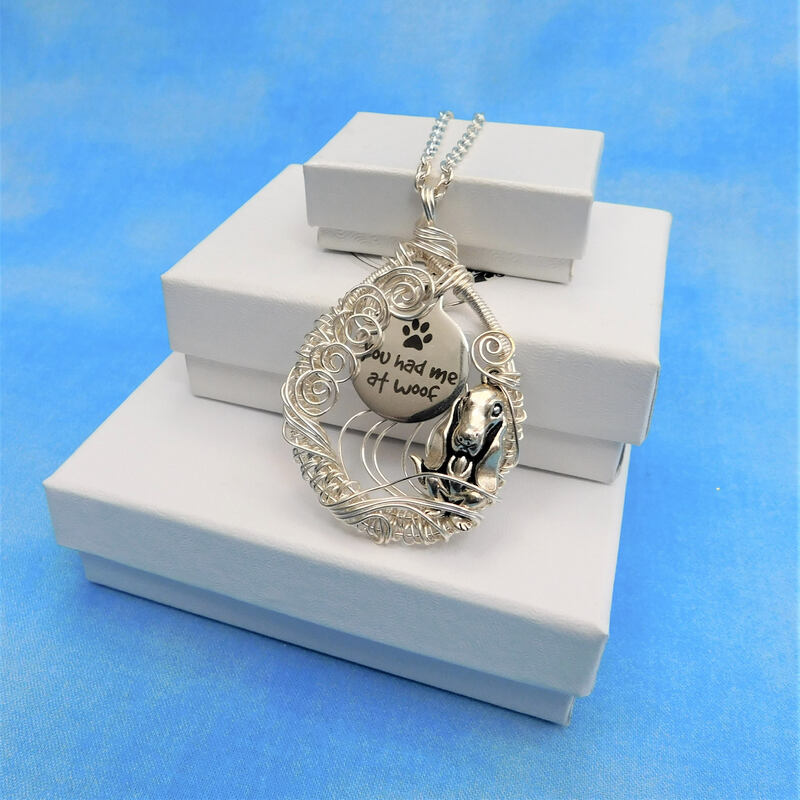 Of course you're in love with your dog. 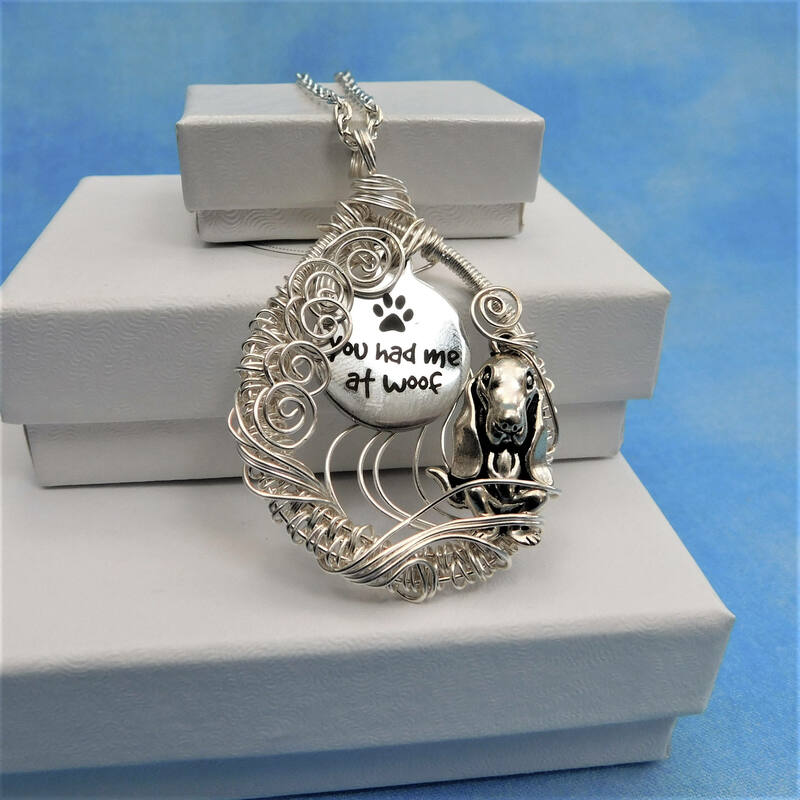 "You had me from Woof!" 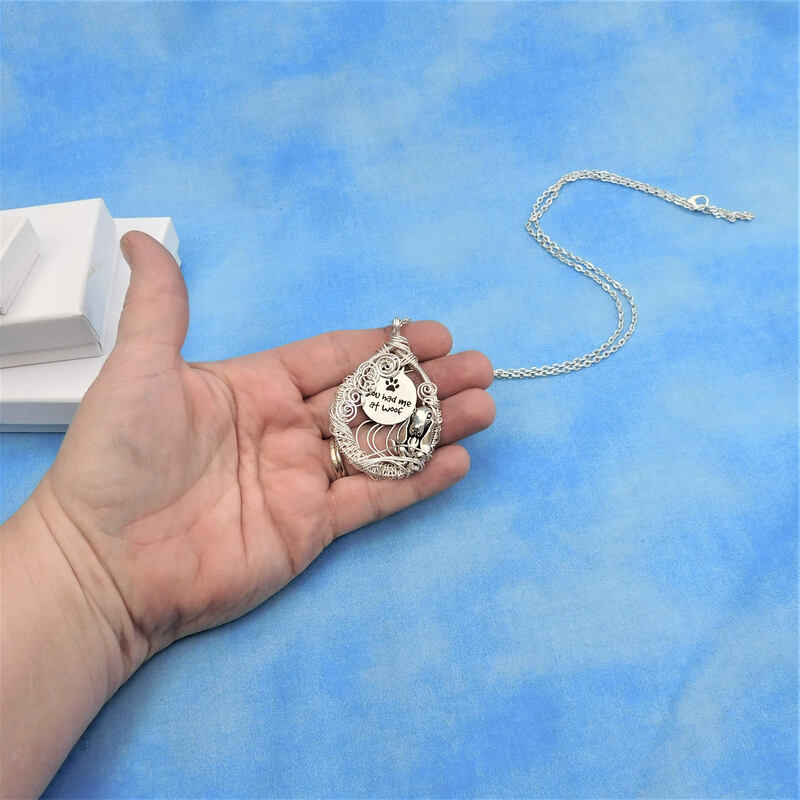 This little guy is waiting to be adopted. 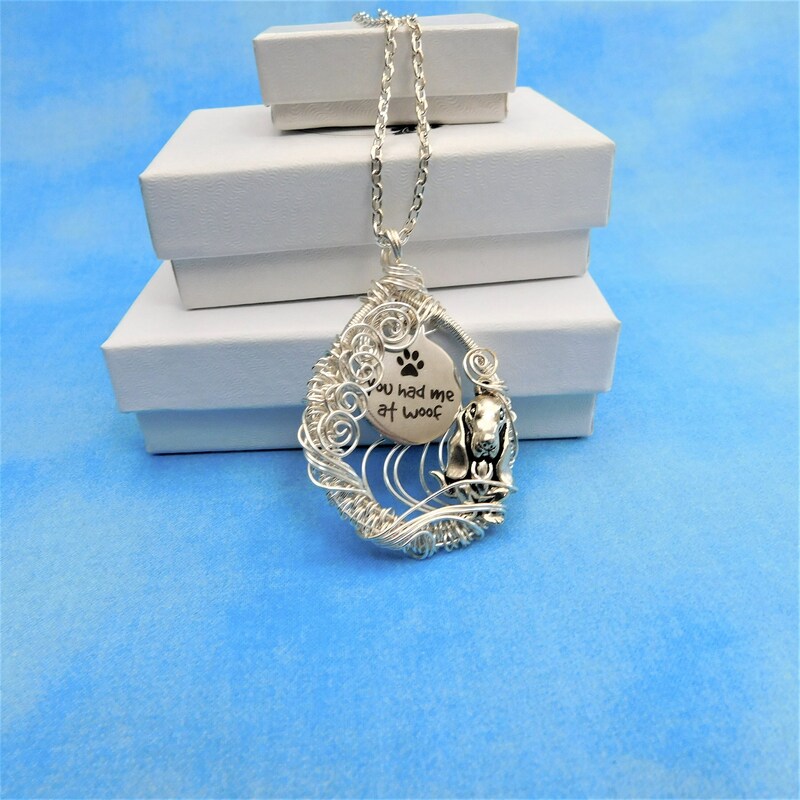 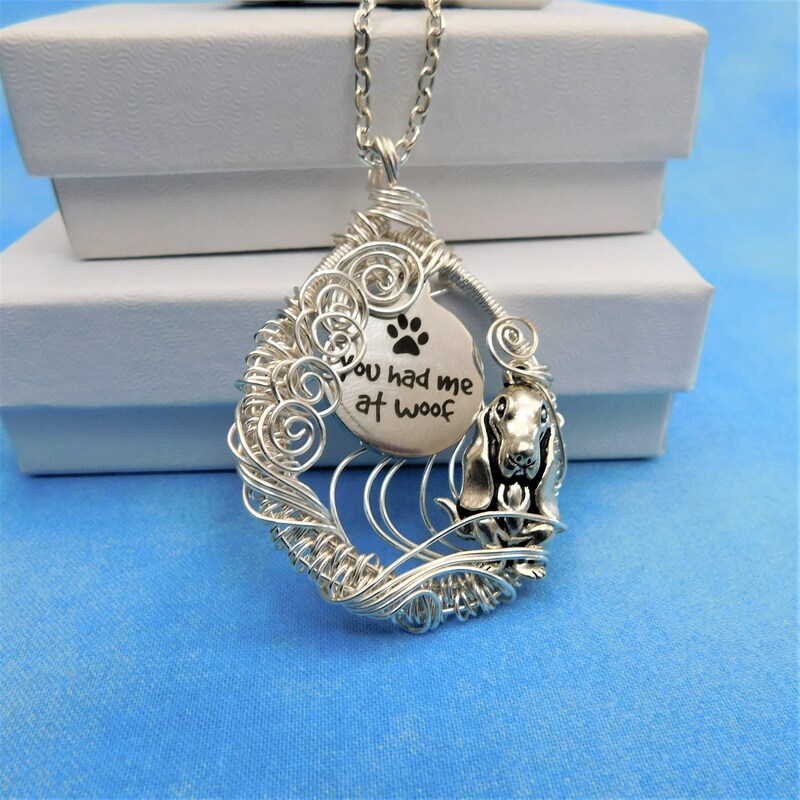 He is the perfect way to remember a much loved pet, or give a small token of comfort to someone else who has lost their furry friend. 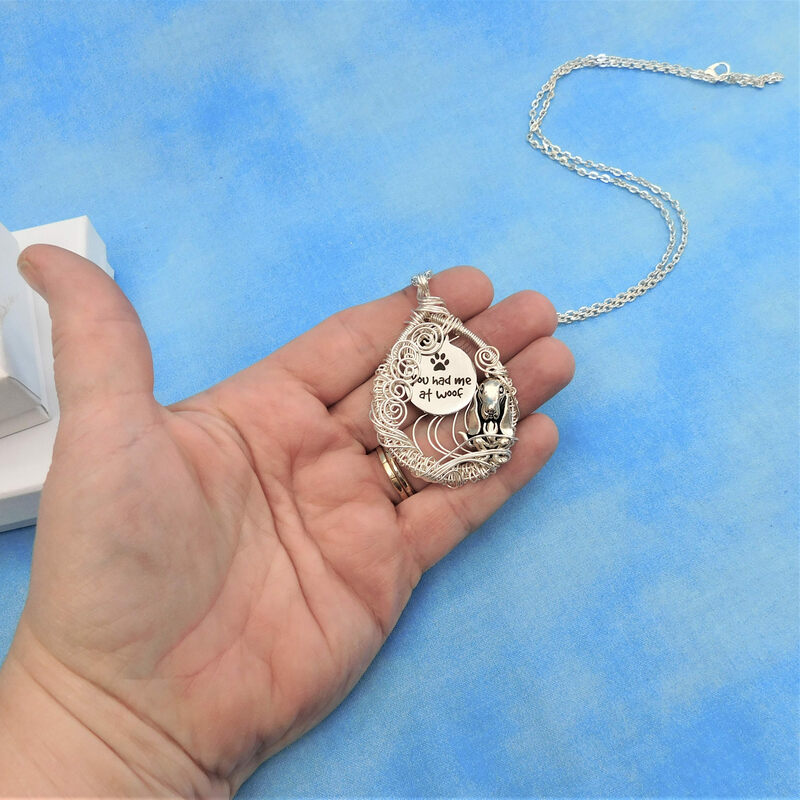 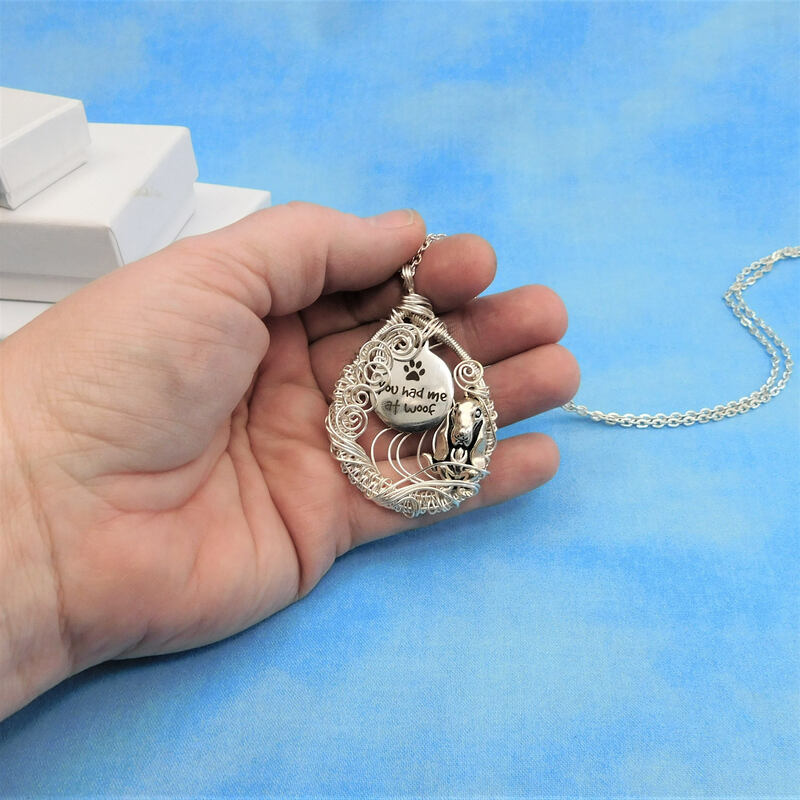 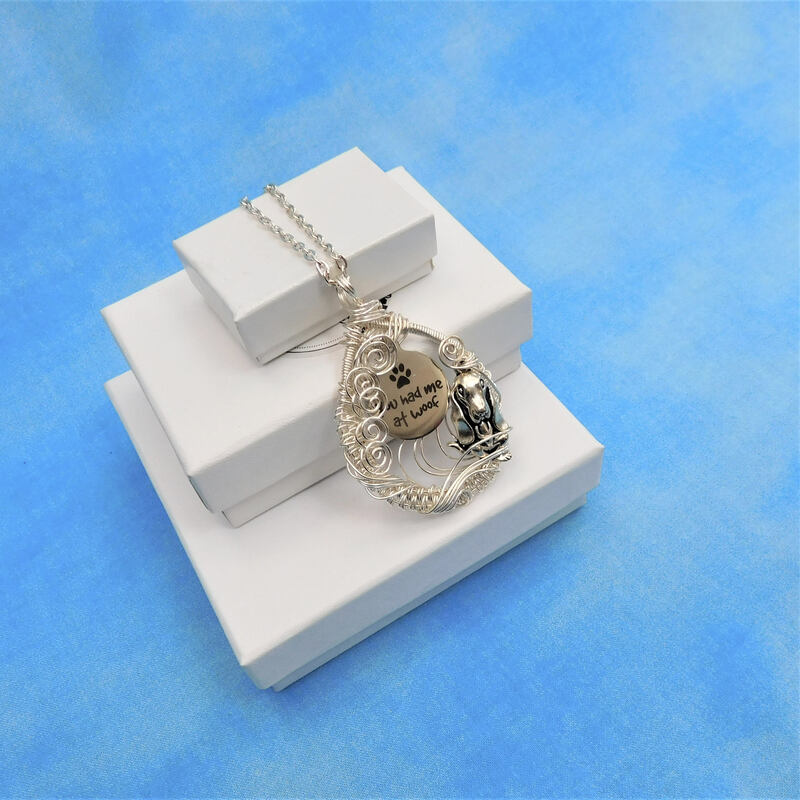 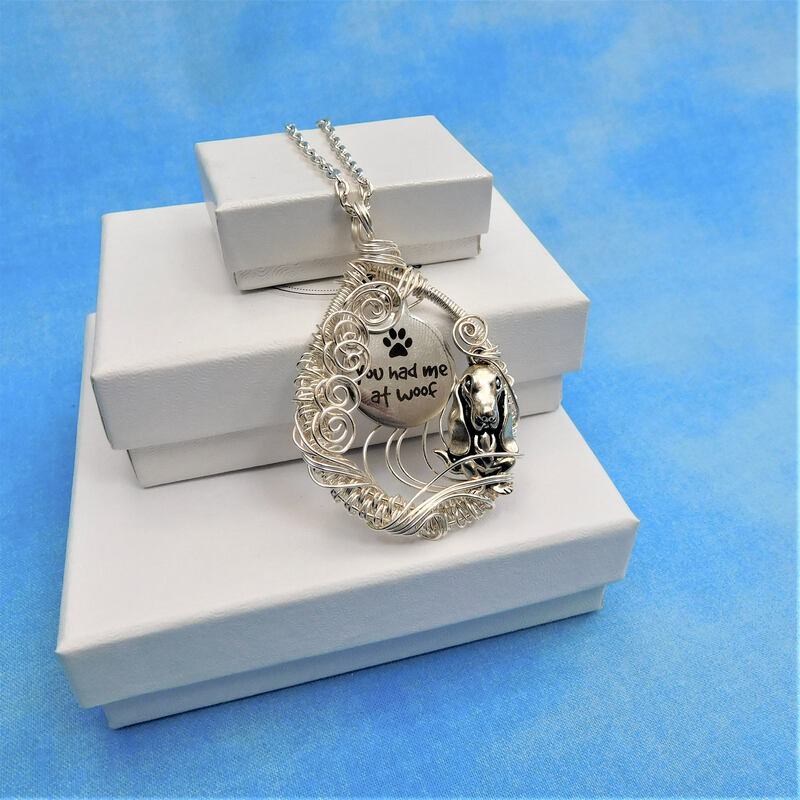 The pendant measures 2 inches by 1 1/2 inches and comes with a FREE coordinating chain with lobster claw clasp, measured to your preferred length.